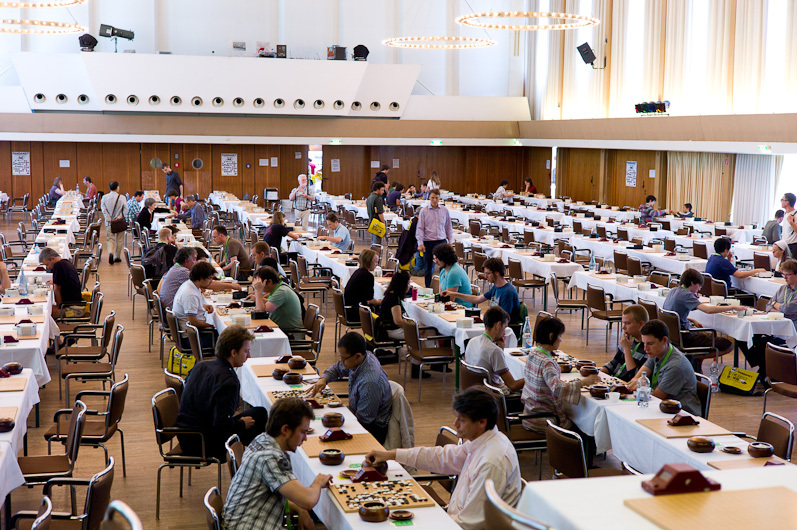 The Open European Championship is the largest tournament of the European Go Congress. Everybody who has registered can participate, also players from outside Europe! 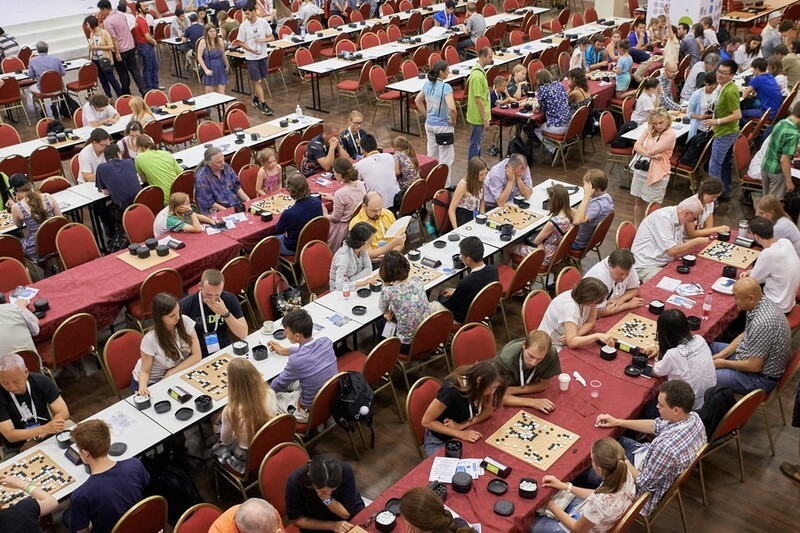 Last year, more than 600 players from nearly 50 countries participated in this tournament, among them 200 Dan players and also a few professionals. The winner was Kim Youngsam, South Korea, 7 Dan. The tournament is EGF ranked and there are nice prizes to win, for the top players, but also for everybody with a at least 7 wins. The Open European Championship is a 10 rounds McMahon tournament with only even games. Ranks are determined by MacMahon Score (without compensation for missed rounds, i.e. ScoreX), SOS, SOSOS. For details check EGF General Tournament Rules. Forms and checklists are used for results, sealing, dropping and names. Sealing a move is possible between 12:00 and 14:00 (no more than one hour) according to the tournament rules. The participants can decide to drop a next round which they announce to the organizers by filling in a dropping form by 23:00 the day before the round. A player not playing a round without proper notification can be expelled from the tournament. This ensures that all players actually have opponents.